The cup runneth over with good birding at the Space Coast Birding and Nature Festival in Titusville, Florida. It matters very little what field trip you sign up for, or which leader you end up going out with, you’re likely to find some excellent birds and get some extraordinary looks at them. 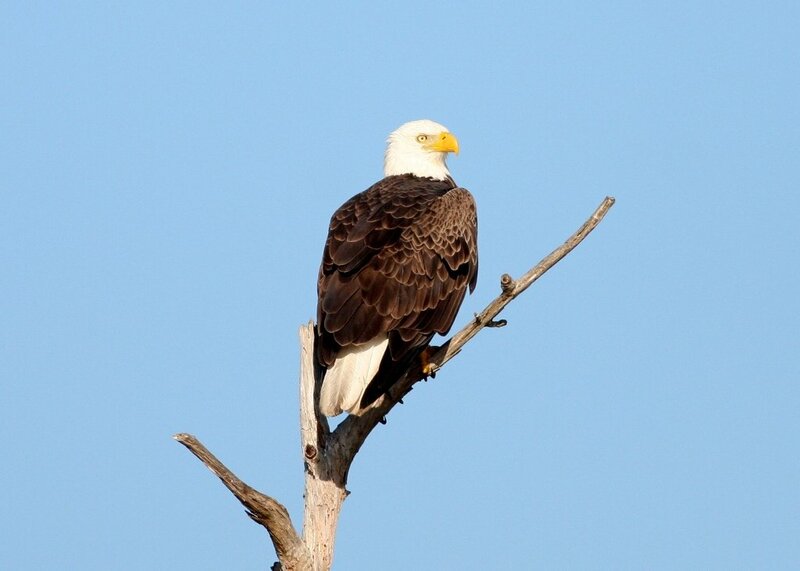 So I was not losing any sleep about which field trips I was going to be assigned to while I was there representing 10,000 Birds and the American Birding Association, but I cannot lie, when I saw that I was going to Viera Wetlands the very first morning of the festival, I was pretty stoked. Viera Wetlands is one of those Florida institutions, not only for birders, but also fans of civil engineering (you know who you are). Several municipalities in the Sunshine State run their wastewater effluent through these massive artificial wetlands, and Viera Wetlands was one of the first. These manmade lagoons in the middle of east Florida farmland and subdivision became bird magnets, as critical for birds and birders as it is for the surrounding communities and farms. These days Viera Wetlands attracts more than 100,000 visitors a year, and they aren’t coming for the ground-breaking approach to wastewater treatment. They’re coming for the birds. And brother, there are a lot of birds. 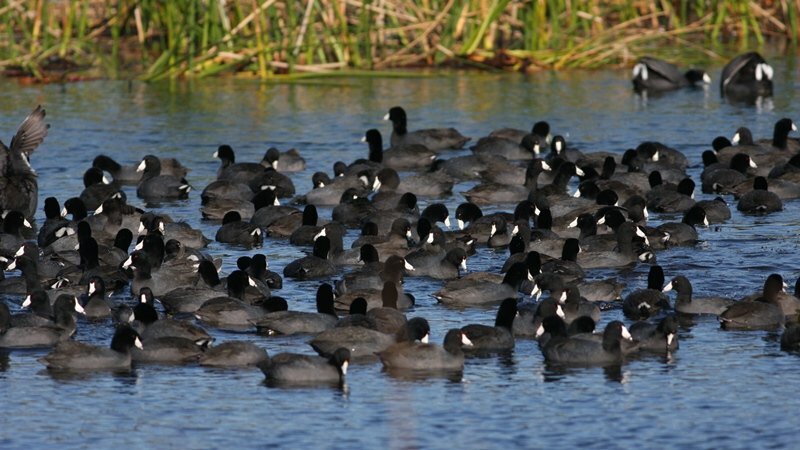 The American Coots are the first things you hear. Thousands of them, gabbing at each other in the pre-dawn darkness. When the sun finally rises you can see the great clots of them congregating on the water, squabbling with each other but never seeming to be able to exist more than 12 inches from one another. The only time that the joyous chaos of the coot flock is wielded in one common goal is when the resident Bald Eagles take flight and every single individual skitters away a short distance, as if the difference between free coot and eagle food is about 20 feet of waterspace. Even so, the eagles went hungry while we were there. Wading birds are one of the major draws of Florida, and the wetlands here are literally crawling with them. 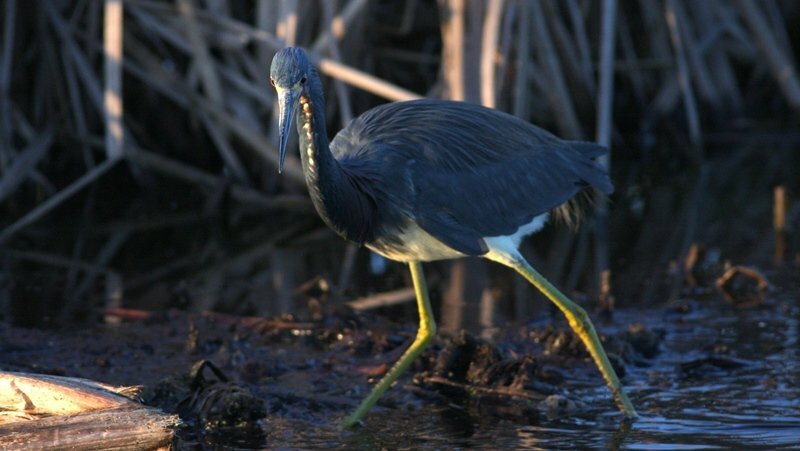 We had looks at all the expected species minus the elusive Least Bittern and the surprisingly absent Yellow-crowned Night Heron, with particularly good looks at my personal favorite southern heron, Tricolored Heron. If there’s a more elegant species in Florida I’m not sure I’ve ever seen it. And if you’re wondering where all your Blue-winged Teals go, they go here. 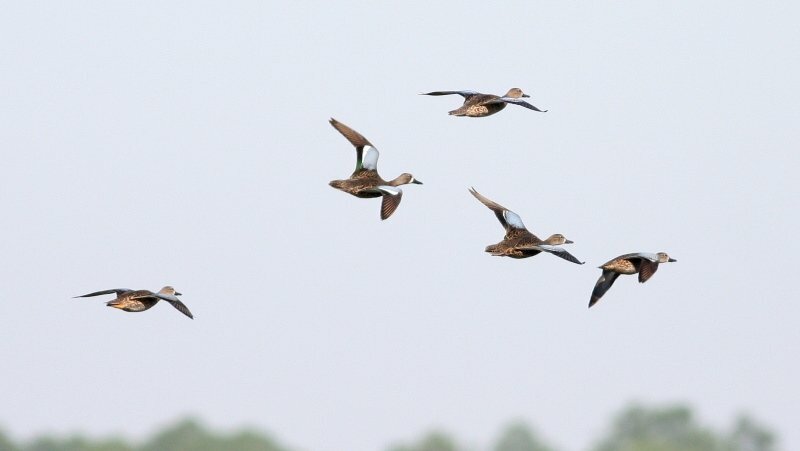 We spent a great deal of time parsing through flocks of Blue-wings looking for any other species of duck and finding little more than a half-dozen Green-winged Teals, a couple flocks of Northern Shovelor, and a few Mottled Ducks (surprisingly few if our local guide was any indication). But we didn’t worry too much. 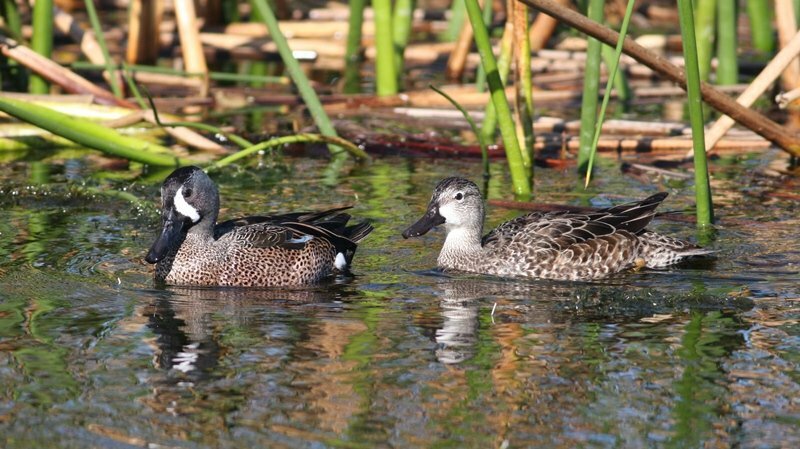 Where I come from Blue-winged Teals are incredibly skittish, but here the birds cruise along the cattails not more than a a long toss away. And when the light is right and the birds are in front of you, how can you complain too much when all the birds look like this? So yeah, Viera was pretty hot this morning. But that’s par for the course. More to come in the next few days. Any caracaras this time, Nate? Hey Nate – I was with you on this trip, and I agree, it was great! I wrote about it too. Thanks for leading and giving us the benefit of your Sora-stalking skillz, among others. I’ve never heard a measure of distance described as a “long toss”. Is that North Carolina speak? @Mike – None. But not for lack of trying. @Josh – Nice post! It was great to meet you and, together, bring down the average age of the group. 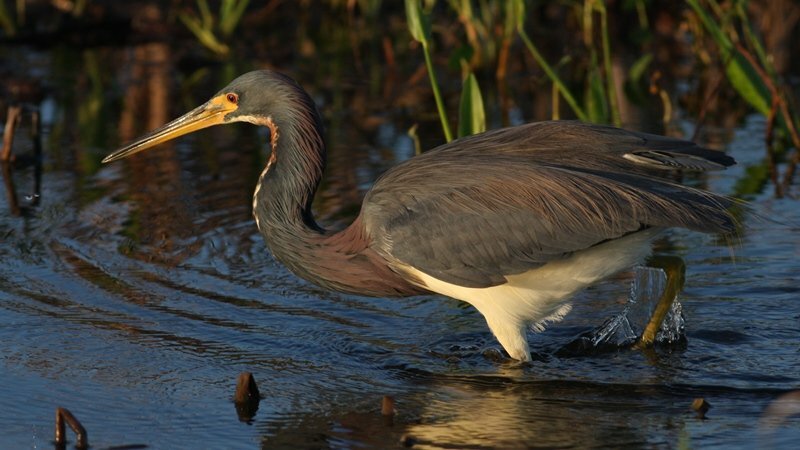 Great pics of the Tricolored Heron! Thanks for sharing all the great pictures! I’m glad the festival has been worth your while!